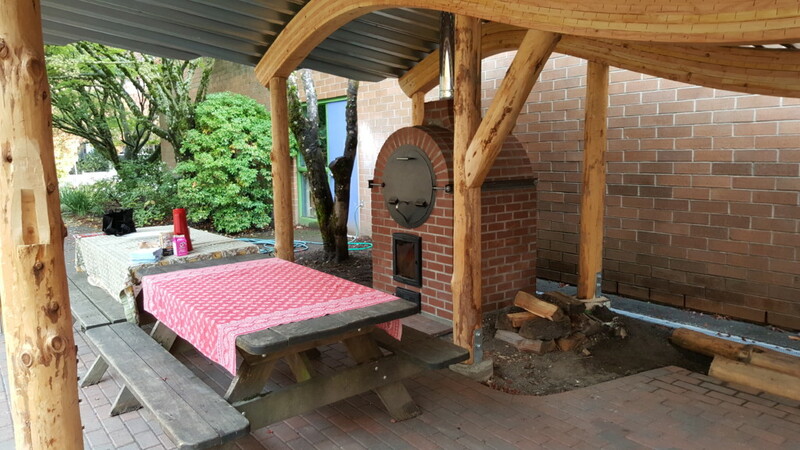 This Barrel Oven establishes a visual and functional centerpoint for the Portland Waldorf School’s “Living Labs” program. 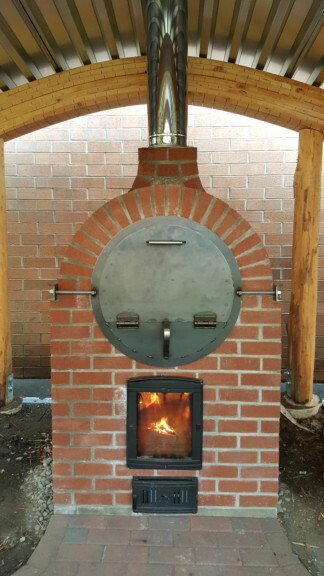 This Barrel Oven features Firespeaking’s large size barrel oven metal work: 24″ diameter, 32″ length. We are currently producing the medium-sized barrel ovens: 20″ diameter, 25″ length. Contact us for special ordered large ones. 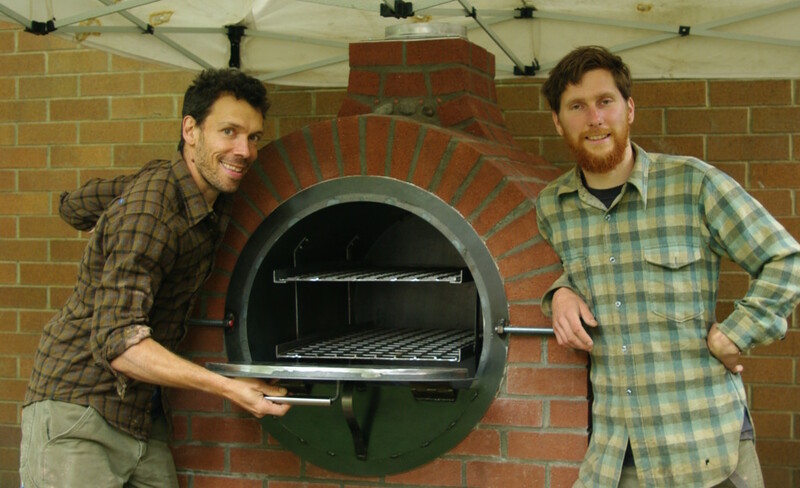 This oven was built by Max Edleson and assistant Shay Hohmann. The beautiful roof structure was headed up by Tim Owen-Kennedy and Tom Myers. The whole project wouldn’t have been possible without the work and dedication of Kelly Hogan. 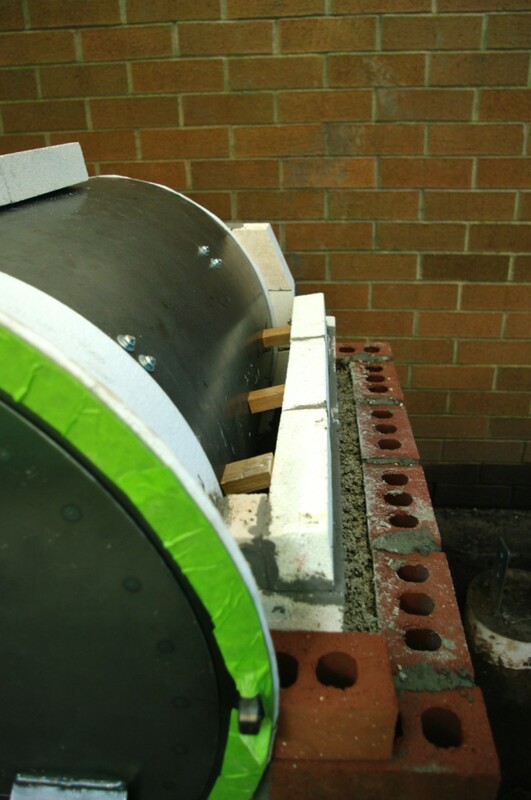 This Barrel Oven employs the technique used in masonry heater construction of creating a “double skin” by having an inside layer of masonry that is separated from the outside layer in order to hide any of the stresses from thermal expansion in the inside layer. In this case, we have also used this technique to experiment with the use of IFBs, insulative fire brick, in the vault to focus heat exchange into the metal cylinder rather than into the surrounding masonry. Stay tuned for a separate post detailing this oven’s construction. Build Your Own Barrel Oven, a how-to guide. Medium Barrel Oven, put your deposit down for one now! 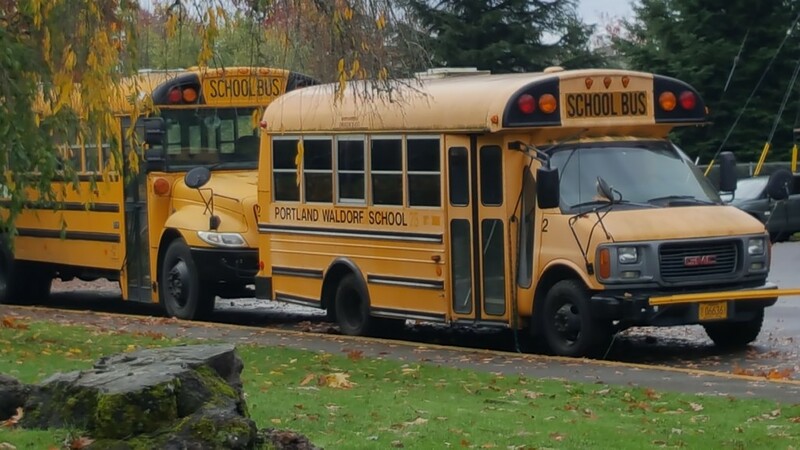 Sign up for our mailing list to keep updated!